The Jets played their LAST game of the 2017 season today against the Pats in New England and got DESTROYED, 26-6. The Jets did NOT score a touchdown today and looked lost on offense in a game that they could have EASILY WON. This game ENDS a season for the Jets that showed some PROMISE for the future but ended SOUR. The Pats needed to WIN this game to secure Home Field Advantage and played ALL their regular starters to WIN this game. The Pats marched right down the field to score an EARLY touchdown and that was technically the GAME WINNING touchdown. 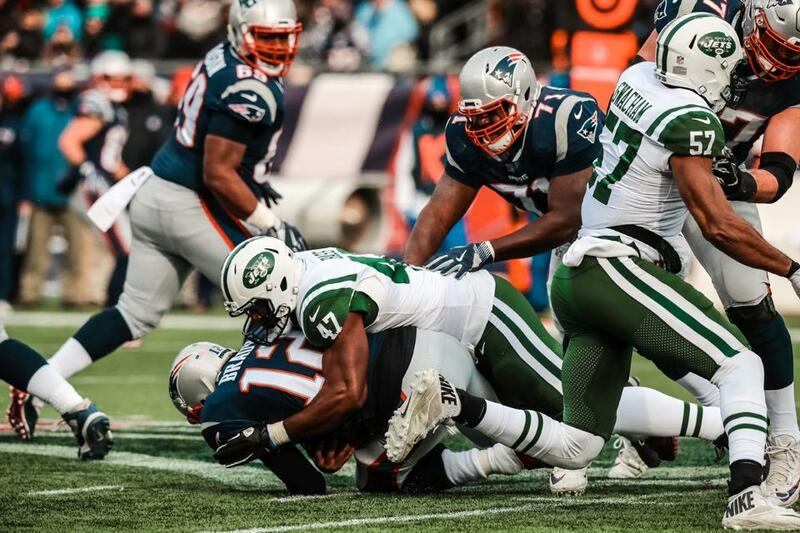 The Jets made things interesting in the first half by shutting DOWN Tom Brady and NOT allowing the Pats to get a first down, but the Jet offense could NOT score any points and eventually the Pats PULLED AWAY. The defense played exceptionally well in the first quarter but like MOST games this season, it rain OUT of gas late in the game. Bryce Petty made his THIRD consecutive start of the season and he was NOT good. He was not BAD in the first quarter, but could NOT make that BIG throw which would have allowed the Jets to score some points. He missed receivers ALL game long by either UNDER or OVERTHROWING them, not allowing the receivers to make a play on the ball. This last THREE games have shown that Petty is NOT the Jets quarterback of the FUTURE. Christian Hackenberg was the BACKUP quarterback in the last THREE games and the Jets REFUSED to put him in. which tells us that he is not the Jets quarterback of the FUTURE either. The Jets have some good players on the team, but they NEED to find that quarterback which is going to take them to the PROMISED land. On the Jet defense which did not play as bad as it seems on the scorecard, there were some highlights including Darron Lee and Jamal Adams. Lee has not had a GREAT second season in the NFL, but he was GREAT today, shutting down Pats’ tight end Rob Gronkowski today and he was helped by Adams. The Jets defense needs some WORK going into the offseason but they are in good hands thanks to young stars like Adams and Leonard Williams. I will have a full EXIT INTERVIEW on the Jets releasing on Tuesday, in which I will go in detail about what the Jets need to do in the OFFSEASON to improve their roster and CONTEND for the playoffs next season. The Pats were able to CLINCH home field advantage with the WIN today and are the FAVORITES to WIN the Super Bowl. I will have a FULL outlook on the NFL Playoffs releasing later today AFTER all the playoffs berths have been CLINCHED, so be on the look out for that. I predicted that the Jets would go 3-13, but they ENDED up going 5-11, thus EXCEEDING the expectations of many people INCLUDING me. This game against the Pats is going to leave some SOUR test for this season, but this season was actually a POSITIVE for the Jets in their rebuilding process.